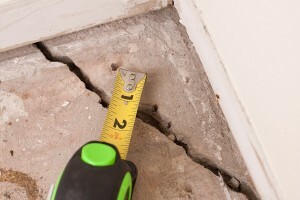 A compromised foundation can lead to all sorts of problems for your home. It can actually have the house bow, where the middle of the home sags like an enlarged belly. The home can start to lean like that tower in Italy. In very rare and extreme cases, it can lead to structural failure and collapse. Since the foundation literally holds the building up, it is one of the most important parts of your home to keep healthy. You should know exactly what you are up against if you decide to have a DIY foundation repair done. • The foundation is not all there is. The walls of your basement are concrete and you might have thought that those walls themselves hold up the home, but you’d be wrong. There is something underneath the walls called the footing. The footing is a collection of bricks and mortar that disperse the load of the entire house into the ground. • Filling the gaps underneath the foundation will not help the cause. The bottom of the foundation is set with a matrix of giant steel beams that looks a lot like a waffle. The load is dispersed into the foundation with this matrix, which helps disperse the weight of the home into the ground. Filling in more dirt underneath the foundation will not relieve the stress on the foundation. • Fixing the foundation requires temporarily dispersing the load of the entire building off the original load-bearing foundation. This means that professionals are capable of jacking up your house like they would a car. House jacking can be dangerous if done by someone without experience. • It will take more than a couple of tubes of epoxy to fix foundation cracks. The cracks themselves don’t even expose the problem. The forces that push on the foundation can crack the structure at any juncture.